On the day of the “battle” scholars at Harlem Prep Middle School painted their faces, picked out bandanas to match, and waited with nervous anticipation to see if their peers would be able to back up all of the claims of victory they had been spouting all week. Behind the scenes, scholars practiced their routines and prepared themselves to participate in a competition that would determine which advisory got to claim to be the first ever “Step Champions” of Harlem Prep Middle. “While our step shows are usually competitive in nature, we have never turned it into an official battle and incorporated elements like the judges panel and score cards,” said Maxine Lyle grade level leader, and step teacher at HPM. Stepping, which is characterized by a choreographed routine of rhythmic sounds and movements performers create using their feet and hands, is a big part of the culture at HPM. 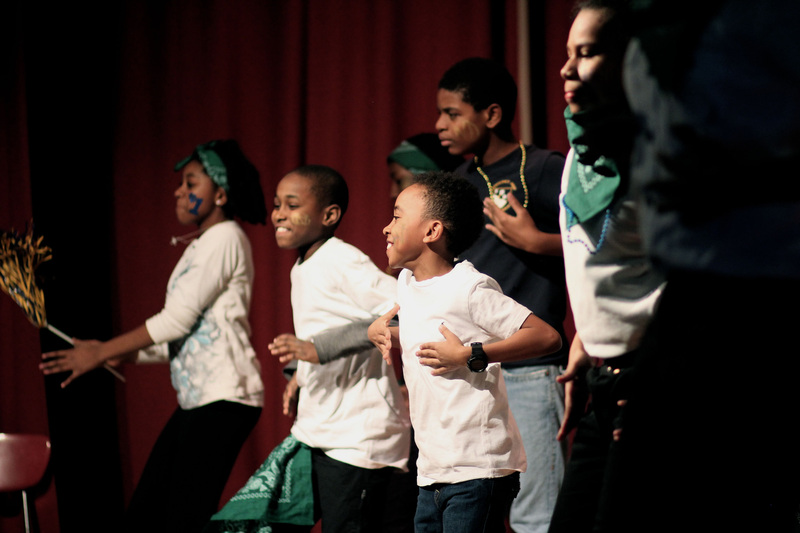 Students take step class as an elective, and many scholars perform with the Harlem Prep Middle Pride Steppers, the school’s official step team. Despite the competitive nature of the program, the scholars cheered for all of their peers and celebrated when Dartmouth took first place. The Harlem Prep Pride Steppers also performed at the Gala on April 29, and staged a demonstration for Change The World week in May.